I love you pjs pick! This year I'm going to be going out with two of my best girlfriends to the bars in our hometown, so it's extremely low-key! At some point my goal is to attend a black-tie affair on New years eve! Love the sequin pants! I LOVE that you included a night at home! That's pretty much what I'll be doing this year. Happy holidays! I'm going to a Black Tie event for NYE this year so I'm definitely feeling a sparkly outfit!! Great picks girl! Fancy event it is this New Years!I am going with a huge group and hoping to color coordinate yet go for all bling!! 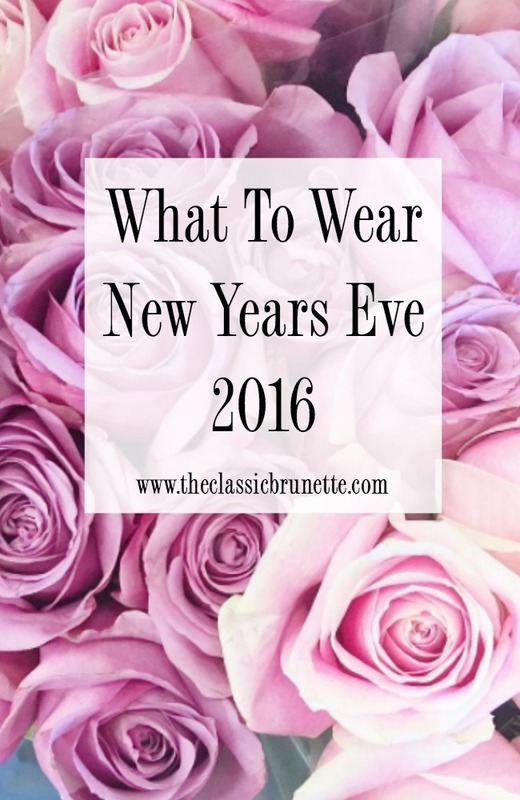 I love sparkly, glittery outfits - and they're perfect for New Years. :) Thanks for sharing! Great suggestions! I love that you included pajamas! I love anything glitter or sequin for NYE! These are all great picks! Love this! I'm having a casual get together with friends and I think I'm going with a velvet swing dress similar to the one you linked. New Years Eve is one of my favorite days of the year! I love all of your options! I have no idea what to wear for NYE and your suggestions are so helpful. I don't know what our NYE plans are this year and it's killing me! I hate that I can't lock down an outfit even if it is early hah! The pjs are looking pretty promising right about now! oh my gosh I love the PJ options! so cute! I will be heading to seattle for NYE this year! Those jammies are so cute! The plaid ones are my fave! Haha Sami you made my chuckle out loud! I LOVE that you included PJs!!! Those look super comfy too! Can I have them all? SO cute. So many great sequin options! Love that gold crop top best! Would look awesome with black pants!! So many cute options! I'll be outdoors this year, so that long sleeve velvet dress you posted about paired with some leggings could be the perfect option! Love this post and all the options. I'm going out New years so I got some great ideas from here! So many great options. If I were going out, I would totally do velvet but I will be rocking the pjs. These are all great options. Personally, this year my fiancee and I will be enjoying a night in our pajamas with a bottle of champagne - I seriously can't wait! I love your picks! I'm all about the sequins or velvet - my favorites! But I really do love spending the night in in NYE some years too. So fun!